All aboard the Ħamrun Express! Every time we take KantaKantun to a new school I am reminded of how deeply our surroundings shape our personalities. The project, which is now in its second year, has given me the good fortune of working with children from widely differing backgrounds. Each time these children come up with refreshingly new ideas and outlooks on music and architecture. 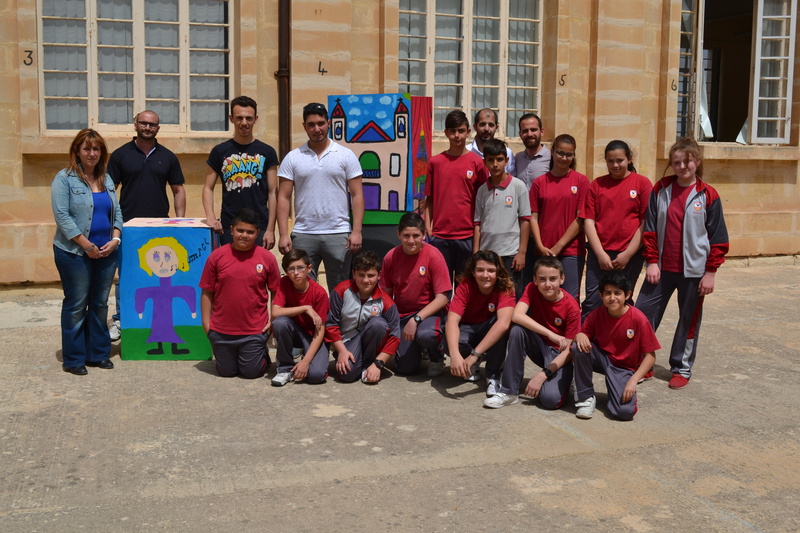 The latest strand was carried out with St Ġorġ Preca College Secondary School in Blata l-Bajda (Ħamrun). 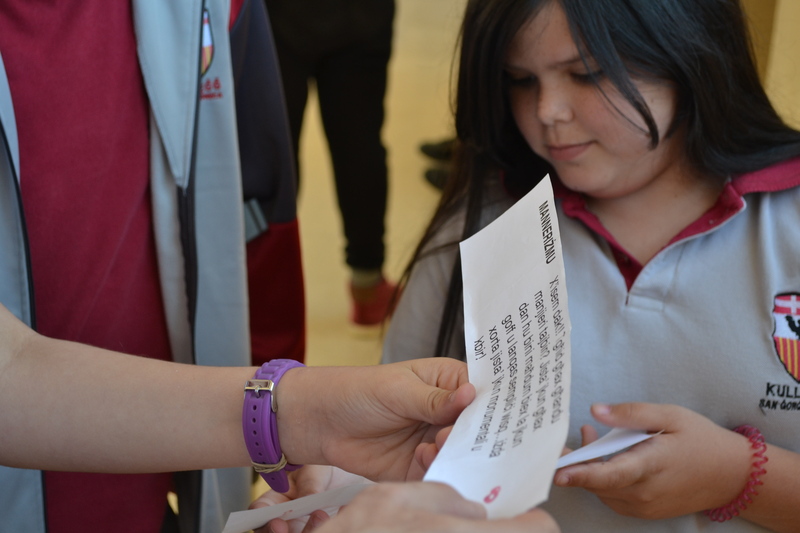 The students all came from the surrounding area, mostly Ħamrun, Msida, and Marsa. They are well accustomed to the hectic lifestyle of these densely populated urban areas, and the urban landscape is firmly imprinted in their minds. As usual we started off with two simple questions: ‘What is Music?’ and ‘What is Architecture?’. The most common reactions to both were ‘Music is emotion and lyrics’ and ‘Architecture is the style of a building’. It did not take long for the group to delve deeper into elements of sound and space. I was initially a little bit shocked to discover how very few of the students in the group played a musical instrument, but relieved to find out how open they were to music. They did not shy away from classical music, and were able to listen and comment critically and intelligently. Ħamrun is definitely not the most beautiful town in Malta, and this is coming from someone who hails from there. Finding an interesting itinerary for the students to experience different forms of architecture was going to be tough. Yet even I was surprised with the amount of interesting features hidden away. It was great seeing these students appreciate all these elements, yet at the same time acknowledging that the surroundings often left a lot to be desired. The greatest challenge was getting these students to create a soundscape based on these experiences. 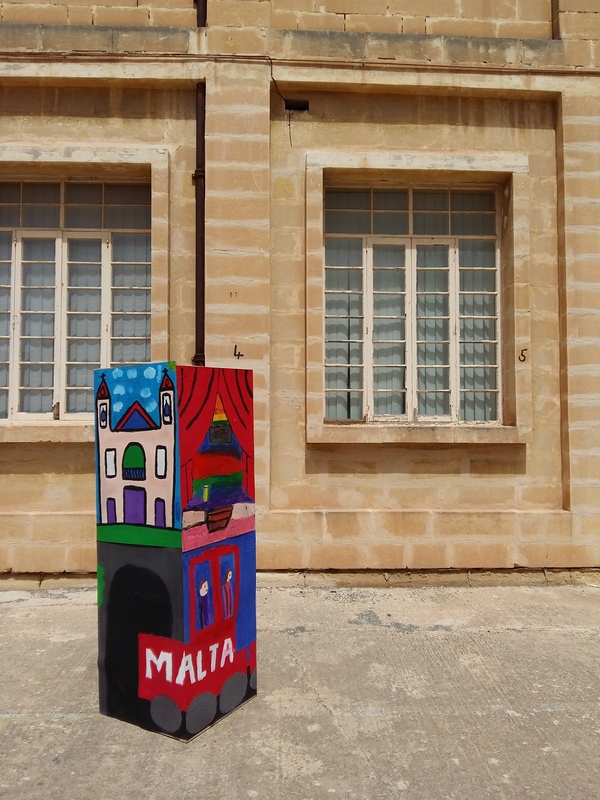 Most of them were fascinated by the train station (now used by the Ħamrun Scouts Group and a milk factory) or the church of St Cajetan (with its associated festa culture). Another key element was the general hustle and bustle that comes with a busy commercial town, including street cries and general conversation. The final workshop was devoted to the building of an architectural installation. The task involved the students listening to a soundscape created by another school, and imagining spaces and buildings that could have inspired the other school. I played them the recording created by the San Anton School in Mġarr, although I did not divulge that information to them until after they finished the task. Amazingly, they still associated those sounds with their own urban landscape, and thus they ended up having plenty of trains and people in their drawings, and very few trees and birds! This threw an interesting spotlight on the way we associate sounds with more tangible ideas. There was a great build up in enthusiasm towards the final part of the project where we worked on the architectural installation. The drawings of course had a lot of trains, and the usual fair share of ghostly creatures (it seems like everywhere we go there is some haunted house or wandering spirit!). By the end of the project, they were begging us to stay on for longer!